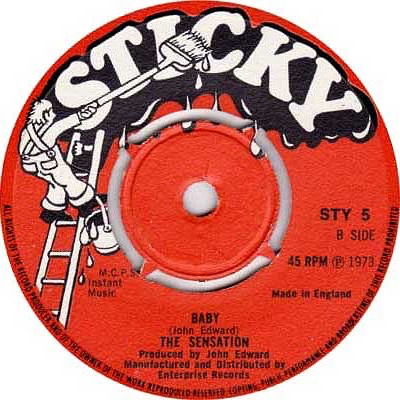 Today’s terrible tune comes courtesy of drummer Martin Samuel, the former sticksman for the late 60s/early 70s pop/rock band Heat wave (not to be confused with the mid 70’s Brit disco band Heatwave), and it’s the truly awful Baby by Sensation. The A-side featured the Ladybirds (three former Vernons Girls who were the go-to vocal backing act of the time); the flip had a young man called Rick Wakeman on keyboards and Doris Troy on backing vocals. Both songs were written by John Edward, the former pirate radio DJ who would go on to huge success with Metal Mickey and Renee and Renato. 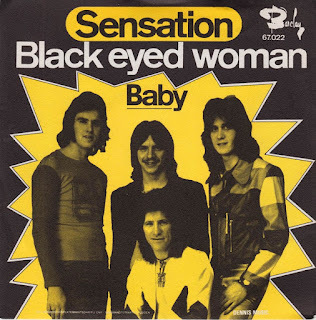 He auditioned for (and almost joined) Badfinger, as a replacement for Mike Gibbins. “Mike had been doing serious session work as a drummer. He felt playing with them was cramping his style and he wished to expand as a drummer so, it was a friendly mutual agreement. I had the gig until Pete asked if I wrote songs. Having recently been replaced for just such a reason, for the first and last time in my life I lied and told him, ‘No, I'm only a drummer’. Later I discovered they were looking for an all-writing band!” Missing out on the Badfinger gig, he instead joined the Jonathan King-affiliated Crew. Sensation (or The Sensation), the band that Heat Wave became after Martin left, found a new drummer (a chap called Stumpy), stuck with John Edward and recorded a new single, the glammy Black Eyed Woman (not a bad record at all) which was backed by the dreadful Baby... a song whose lyric must have taken John Edward months to write. A lifelong drummer, Martin is still playing and composing today. My huge thanks to Martin for taking the time to get in touch, and for providing the illustrations. Here are both sides of the Sensation 45. Enjoy!